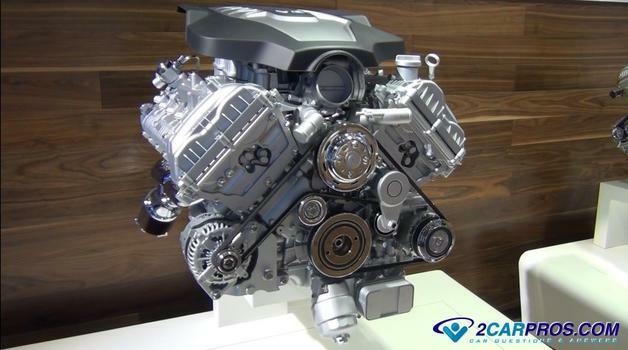 Engine power is determined by many aspects such as compression ratio, camshaft configuration, fuel injection type and if the engine has forced induction such as a turbo or super charger. There are two kinds of power lose, immediate and gradual. When an engine has gradual power lose it can be harder to detect as the normality of the lack of power becomes commonplace. A sudden drop in power is much more noticeable and could be accompanied by a check engine light. If your engine seems like it is running okay but is just low on power you are in the right place, but if your engine is misfiring and running rough then you have a different problem that is causing the low power issue. While the symptoms of low engine power can be fairly obvious the causes for the problem can be a little more elusive. This is because the engine has several external systems that support its operation such as the computer, fuel and exhaust systems. Internal mechanical failures can cause an engine to not produce power as well such as worn out piston rings and a timing chain or belt that has jumped a tooth. The cost for low engine power will depend on what is found after a list of troubleshooting check points have been performed. If you were to have a repair garage check out a low power issue they will charge between 1 and 2 hours of labor or between $85.00 and $160.00 typically. The rub is they need to be right or you will just keep paying until they stumble across the problem if they have misdiagnosed the difficulty. It's better to do a little investigative work on your own and possibly do the repairs yourself. For instance a dirty air filter will cost you between $20.00 and $35.00 (US). We will start with the most obvious issues and then graduate to the more obscure reasons for low power. I know what you are thinking but you would be surprised at how many air filters we have changed over the years that have been completely plugged not allowing air to pass through them which then causes low engine power. This is an easy check and is well worth the time. Inspecting the air filter is pretty easily done on most cars and is part of a regular maintenance schedule as well. This kind of problem will usually not turn on the check engine light. But, if the sensor is too far gone cleaning will not help and the sensor must be replaced. This is due to cooked on impurities that the cleaner just can't remove. The fuel pump is located in the gas tank of your car and is responsible for supplying the fuel injection system with enough fuel pressure to spray from the injector into the engine. The problem is as a fuel pump ages it will lose performance and is not able to keep up with the pressure needed to run the engine at full power. To check the fuel pressure you will need a fuel pressure gauge with the adapters included in the kit. These adapters will enable inline or pressure port taps designed for testing. 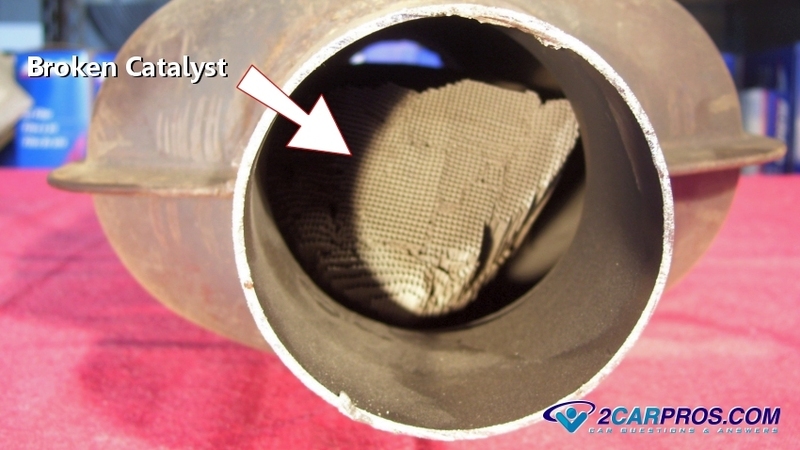 In the exhaust system of most cars is a catalytic converter which is used to rid the exhaust of un-burnt fuel left over from the combustion process inside the engine. This un-spent fuel is a major cause of air pollution. Inside the catalytic converter is a catalyst material that resembles a honeycomb. When this material ages or is subjected to extreme heat from over usage it can crack and break apart clogging the exit port of the converter which in turn slows engine performance creating a low power condition. To test if the cat is plugged a temperature gauge can be used to measure the heat of ingoing and outgoing exhaust gases or the exhaust system can be temporarily disconnected to check the engine's power output. The check engine or service engine soon light is telling you there is a problem with one of the sensors or systems that support the engine which can make the car go into "limp mode". This mode is designed to reduce engine power as a protective measure for the engine as well as the emission system. Anytime you see this warning light on you must read the codes and make repairs to clear said codes. Once this repair is complete, erase the computer codes to restore engine power which will improve drivability. 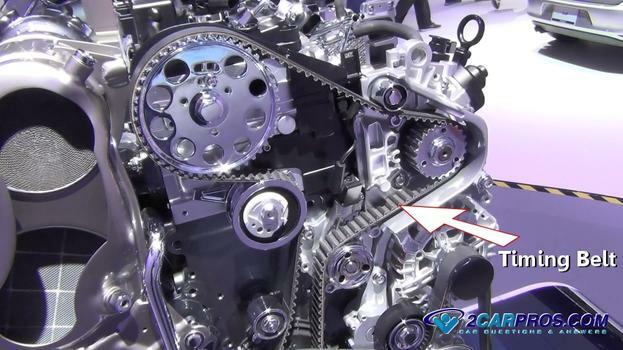 A timing belt or chain is used to keep the engine's camshaft and crankshaft in correlation. As these parts wear they can become loose which will result in them jumping one or more teeth on the camshaft or crankshaft gear. When this happens the engine goes "out of time" but will still run with the result being low engine power. To check for this problem the engine front must be disassembled and the timing marks checked. When an engine goes out of time repairs must be made before resetting the engine back to normal. Many newer cars today have what car manufactures call a "lifetime fuel filter". This filter is located in the gas tank fitted at the intake portion of the fuel pump and does not need to be changed in most cases. But some cars and trucks still have a fuel filter that can plug up causing a lack of gas to be delivered to the fuel injection system. This style of fuel filter is called an "inline" filter and it must be changed as part of a regular tune up. After removing the filter, clean the inlet and try to blowing air through it to confirm its blockage. Piston rings are used to help seal the combustion process to the cylinder walls which helps add to the downward thrust of the individual pistons. Theses ring slowly wear out as the engine ages due to normal usage. This wear will be accelerated if oil changes are neglected causing additional wear due to friction of the dirty oil. To test the condition of the engine and its state of wear, a compression test is used to monitor the amount of compressions still present inside the engine's cylinders. This compression is at its highest point when the engine is new and slowly degrades which causes low engine output. To repair this condition the engine should be replaced or rebuilt. If you hear the engine rev up but it feels like the car is not accelerating you could have a transmission clutch or clutches that are slipping. A standard transmission and an automatic transmission both have clutches that hold the power of the engine. As these clutches wear they fail to transmit the engine power through the transmission and onto the drive wheels of the car. When this occurs the automatic transmission will need to be rebuilt while on the stick shift transmission the clutch attached to the flywheel will need to be replaced. This problem pertains to older engines that utilize an adjustable ignition distributor. If the timing is adjusted too far advanced or retarded (in front or behind the timing marks) the engine will have low power output. To check this timing adjustment a timing light is needed to reference the marks on the harmonic balancer in relationship to when the #1 cylinder fires. If the engine timing is way off (20 degrees or more) check the timing belt or timing chain because they might have jumped a tooth. Here is how our mechanics would go about finding an engine low power issue. If you have any low power questions please visit our forum. If you need car repair advice, please ask our community of mechanics is happy to help you and it is always 100% free.